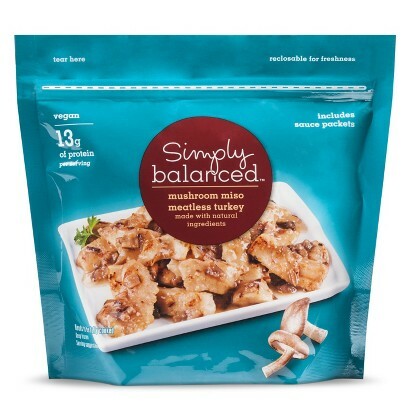 Simply Balanced is a Target brand of food, and they have frozen meat substitutes! I bought several different kinds, and this is the first we have tried. It comes with two containers of gravy. I put those in a bowl of hot water to soften up, then warmed them up in a small pot. 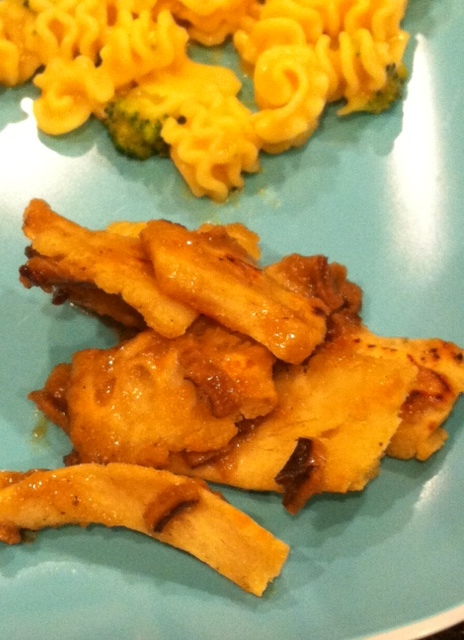 I pan-fried the “turkey” with a little bit of olive oil. I thought the texture was really good. I liked the “turkey” more than the gravy. Neither of my kids liked it, but husband, boy, he loved it! He kept going on and on about how he wanted to fool meat-eaters with this, and how this has really set the bar high for meat substitutes. Me? Eh. This entry was posted in product review, vegan and tagged fake meat, fake turkey, meat analog, meat substitute, mushroom miso meatless turkey, product review, simply balanced, target, vegan, vegetarian. Bookmark the permalink. This is weird, because I tried a diff flavor of this stuff and I thought it was terrible, but the hubs and kid thought liked it. This time I got this flavor, and I was googling to see if there was a better way to cook it.